This summer I am re-posting the "best of" The Blunt Bean Counter blog while I work on my golf game. Today, I am posting a May, 2012 blog on Memory Overload, Alzheimer’s and Death in the Digital World. This blog post considered how to keep track of all the passwords we have and whether a digital solution was the best alternative. Not surprisingly, much of this post was dated, so I have updated several sections. 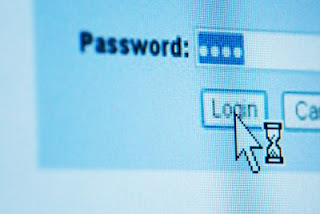 Despite many new alternatives, we still have the same issue today as back in 2012, that being; how the heck to keep track of all our passwords. About a year and a half ago, my wife who is an avid reader, kept telling me about a book she was reading titled “Still Alice” by Lisa Genova (which is now a movie). Eventually I became so intrigued, I read the book. This bestselling novel tracks the tragic decline of a brilliant 50-year-old woman suffering from the early onset of Alzheimer’s, the impact on her family and the decisions she makes, once she accepts the reality of what is happening to her. If you have not read the book I suggest you read it. It is both disturbing and thought provoking. After reading the book, I recommended it to a service provider of mine. This person read the book and one day we discussed it. Our discussion veered off onto how hard it is for a person with full capacity to remember all the electronic passwords we are required to set up in this day and age (assuming you do not use the same password for all your financial and social sites; which is frowned upon by most computer security experts). As our discussion progressed, we considered the nightmare it would be to deal with all the electronic banking, billing, etc. if god-forbid we developed Alzheimer’s as Alice did in the book. The discussion took an unexpectedly darker turn, when the person told me that they had a huge issue recently when a family member had passed away un-expectedly at a fairly young age, and since that person was computer literate, much of their world was digital and no one had a clue as to the electronic passwords of the family member. (3) You or a family member passes away, and you or a family member as executors must deal with electronic and digital records for which you have no access and whose existence you may not even be aware of. Personally, I have completed an information checklist so my wife is aware of the assets we have. I have also made sure she is aware of our more important financial passwords. As someone who is by no means a computer whiz, I surfed the web to see what others were recommending or suggesting in regards to these various digital issues, and came across a Forbes.com article titled Six Ways To Store Securely The Keys To Your Online Financial Life by Deborah L. Jacobs, who is a lawyer and journalist. Ms. Jacobs noted there are a number of services that allow you to enter all your passwords into a single database and lock them up with a master electronic key. You (or your agent) only need to remember one password to access the list. Update: Here are a couple 2018 links for the best managers of 2018 from PC Mag.com and CNET. Ms. Jacobs also suggests you can back up onto a USB flash drive, which becomes a mini encrypted vault with a password of its own. She notes the drawback is you must find someplace secure to store it. Using either a USB flash drive or password service, addresses situation #1, where you have full mental capacity, but are just suffering from password overload. Ms. Jacobs’s notes there are several new services, aimed at people who are doing estate planning, that charge a monthly or yearly fee to store the digital data that you enter, and release it according to your instructions. In my initial post I had an article that referenced three new firms that had come onto the scene that help individuals protect and transfer their digital assets. All the initial links no longer work, which reflect either the lack of adoption or competition. Here is a 2018 article on the options for a digital asset management software by Softwareadvice.com (scroll down the page for the article). Finally, Ms. Jacobs suggests two “old school” solutions: (1). Enter vital information in a loose-leaf or notebook and (2) use an old-fashioned lock box. I would suggest that both these solutions are probably used in some manner by many people, but are not exactly state of the art and have inherent security issues. As I stated earlier, I am far from a computer security whiz. The intention of this blog post is to bring attention to the various electronic and digital issues noted above, and to make sure if you have not already addressed these issues in some manner, you consider doing such. If you are currently using an electronic password manager and/or a digital gatekeeper that you are satisfied with, please post the names of these managers or gatekeepers and what you like and don't like about them in the comments section. Thanks. Hi Mark, When I think back on my dear Dad's passing, I am thankful he shared his digital info with me prior to him going downhill with ALS. It at least took some of the sting out of managing his estate after he passed away. My hubby and I use LastPass and it has been an excellent tool for us. It can generate passwords for you that are way to complex for hackers to guess. However, it's critical to NEVER forget the master password, because without it, you will never get back in to manage the password vault and would then have to reset all your passwords at each website. Thanks for the post! Thx Cnd Small Biz Owner. Sorry to hear about your father, but thx for the info on LastPass. Hi Mark, thanks for the very informative article. I also struggled with finding a reasonable method for documenting my various passwords and accounts info. For a couple of years, I had a document that I kept updating and storing in my safety deposit box at the bank (and in my will, stating where my safety deposit key was kept). But that was cumbersome, because getting the up to date list to the back was a pain. Since then, I still keep a word doc updated, but I secure it with a password, gave my wife a copy for her computer (she knows the password of course), and then saved a copy in the cloud as well as on my tablet and phone. But then I still have the problem of letting my executor know the document's password, should both my wife and I die together. So I will now get LastPass and try it out - from the reviews I have now read, it has 3 features I am looking for: making the online password management much more secure and straigthforward; allowing me to store "notes" on their site, that will be encrypted (I would keep all my financial account info in there); and designating one or more people (i.e. executors in my case) who would be able to access the LastPass file (they would request access, and I have x days to deny; of course, if I am deceased then they gain access after the x days). Thx Jean for noting your experiences and for your comments on LastPass.